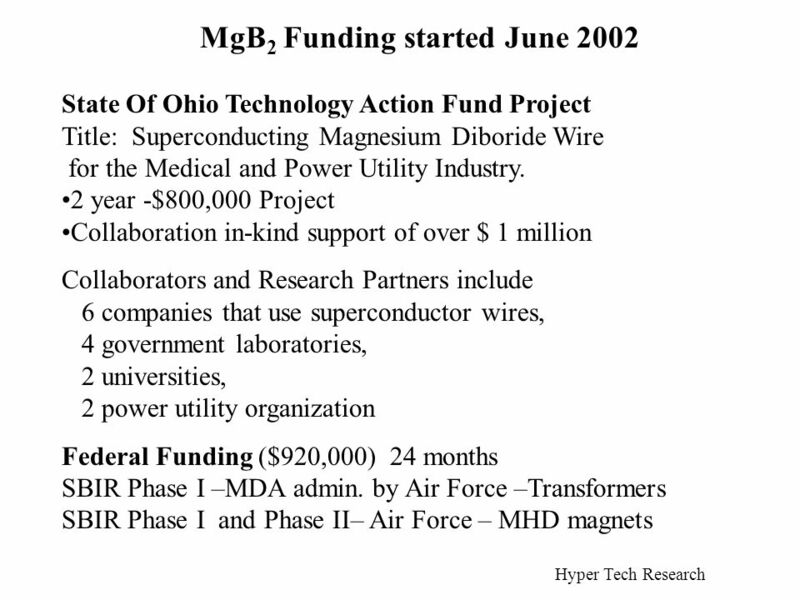 Magnesium Diboride Program Hyper Tech Research Inc. Mike Tomsic Magnesium Diboride Workshop April 2003 Research Partners: Ohio State University-LASM National. 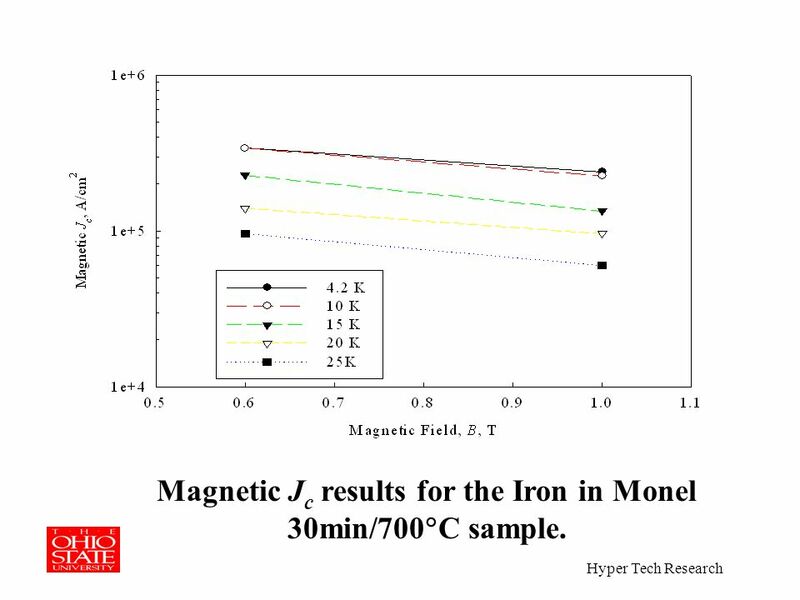 6 Testing by Ohio State University, Hyper Tech transport J c s (plus one magnetic result) at 4.2 K compared to some of the best magnetic J c s (5 K) from the literature Hyper Tech Research Magnesium Diboride Fe/Monel Monofilament 1.2 mm wire. 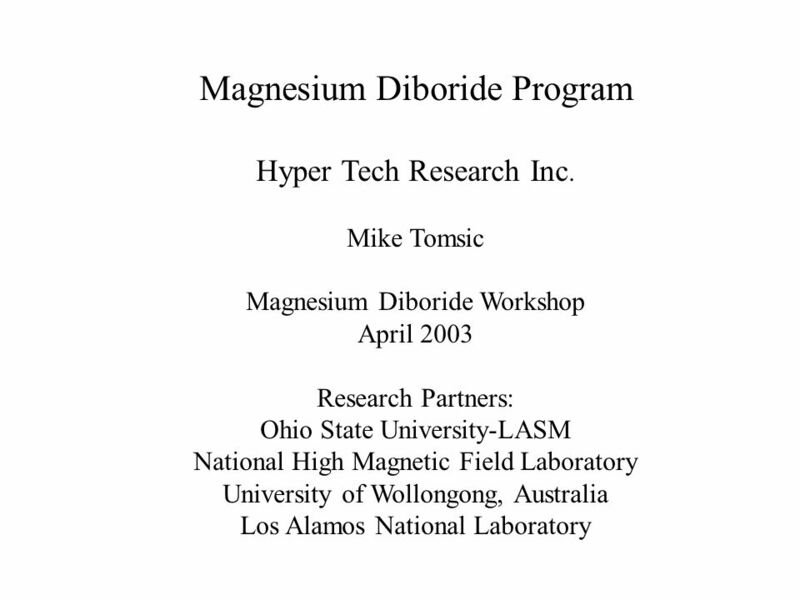 Download ppt "Magnesium Diboride Program Hyper Tech Research Inc. Mike Tomsic Magnesium Diboride Workshop April 2003 Research Partners: Ohio State University-LASM National." 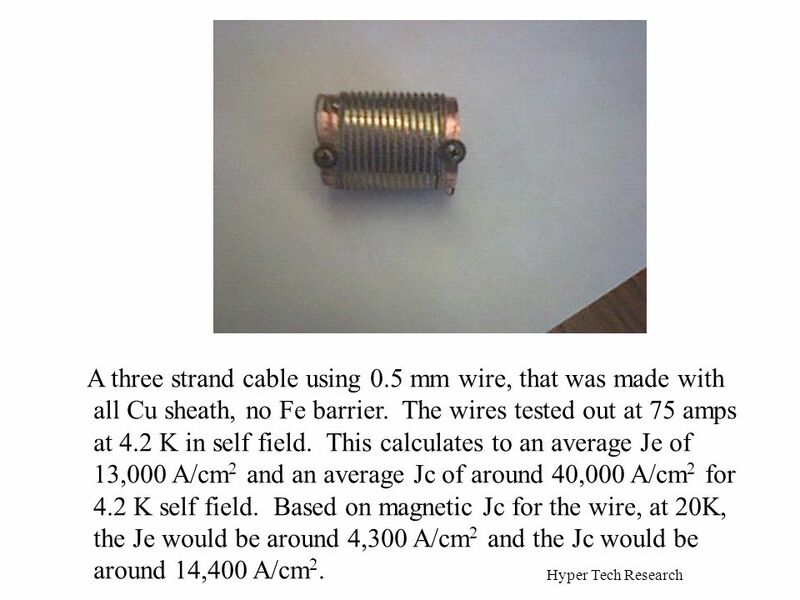 Superconducting and Conventional Machines A.M.Campbell IRC in Superconductivity Cambridge. 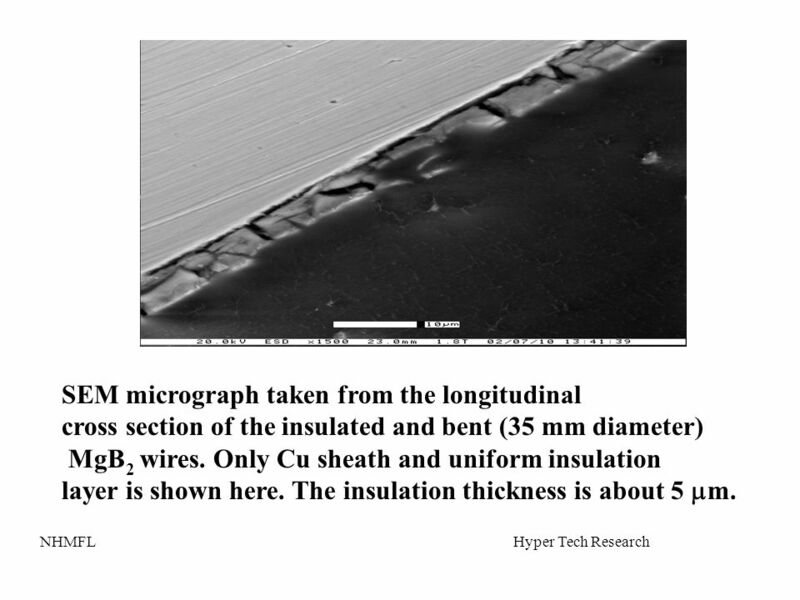 Cryogenic Efficiency & Losses in AC Power Machines Dr. Philip Sargent MIM MBCS CDipAF CEng. 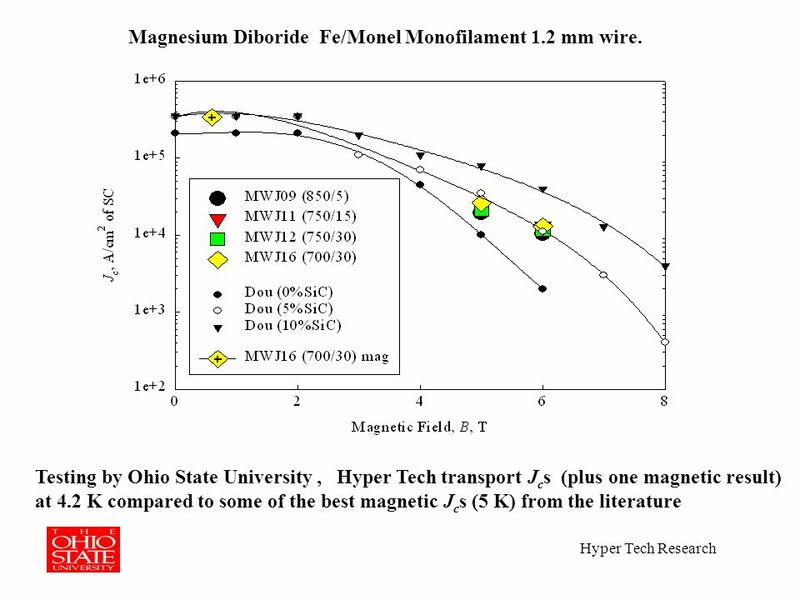 Diboride Conductors Ltd.
G. Grasso, A. Malagoli, M. Modica, V. Braccini, A. Tumino, S. Roncallo, E. Bellingeri, C. Ferdeghini, A.S. Siri INFM -LAMIA, Corso Perrone 24, Genova. 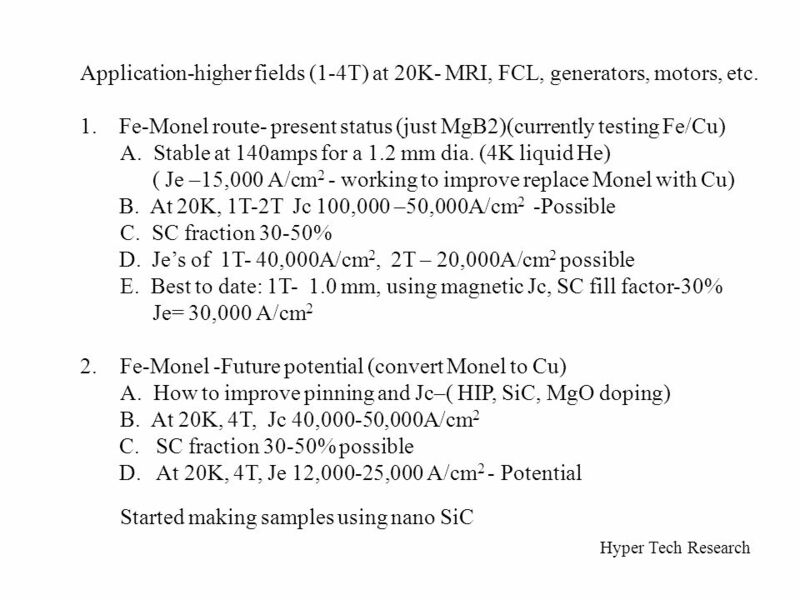 1 Applied Superconductivity Research - University of Cambridge Click to edit Master title style Click to edit Master text styles –Second level Third level. 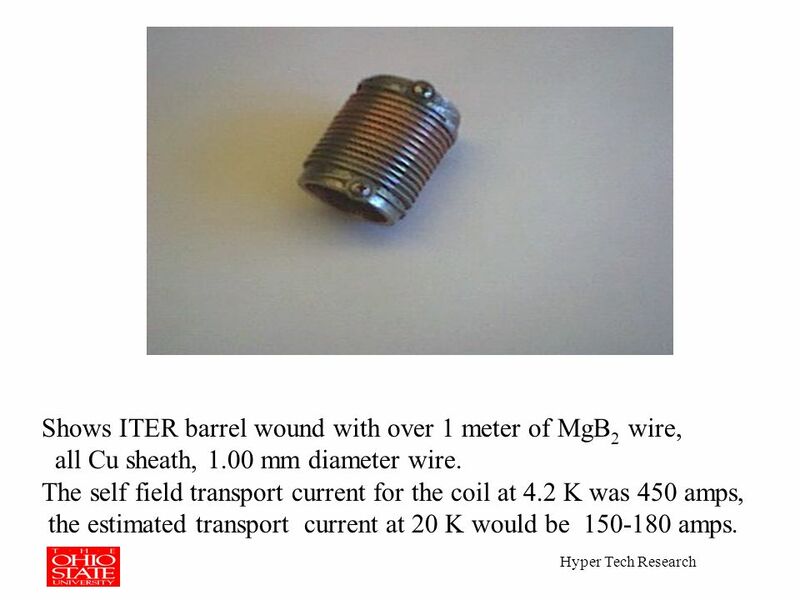 Critical Fields and Critical Currents in MgB 2 David Caplin and Judith Driscoll Imperial College, London Work supported by EPSRC Commercial Uses of Magnesium. 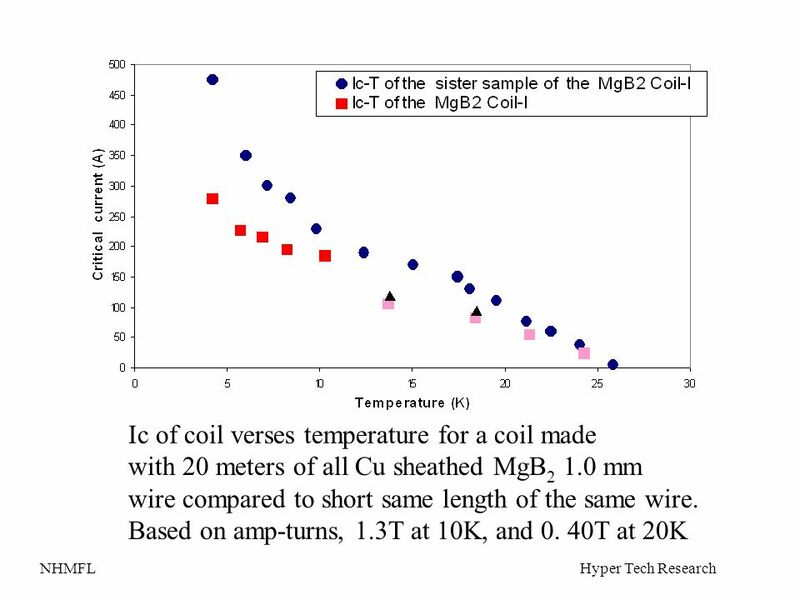 Applied Superconductivity Research - University of Cambridge B.A.Glowacki Lattice structure and misfit between substrate/buffer/YBCO conductor Conductive. 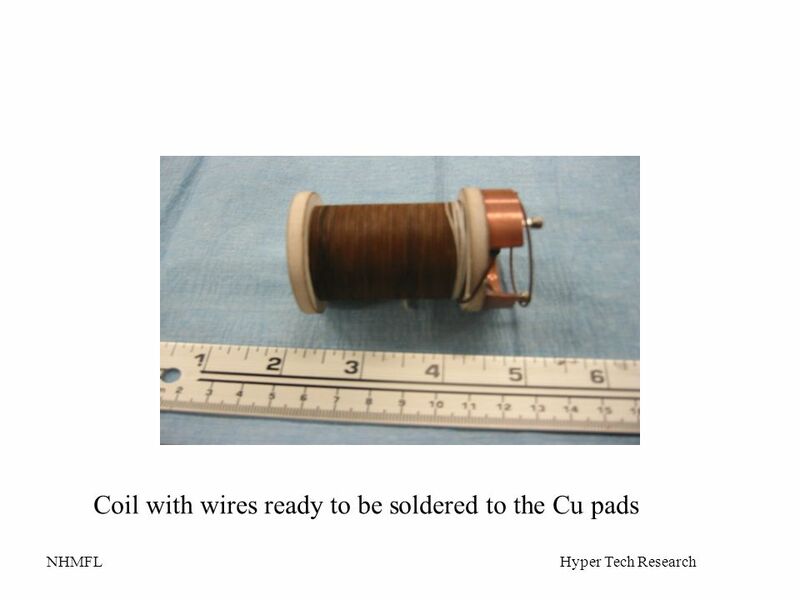 Welcome to Cambridge Dr. Philip Sargent, Diboride Conductors Ltd. 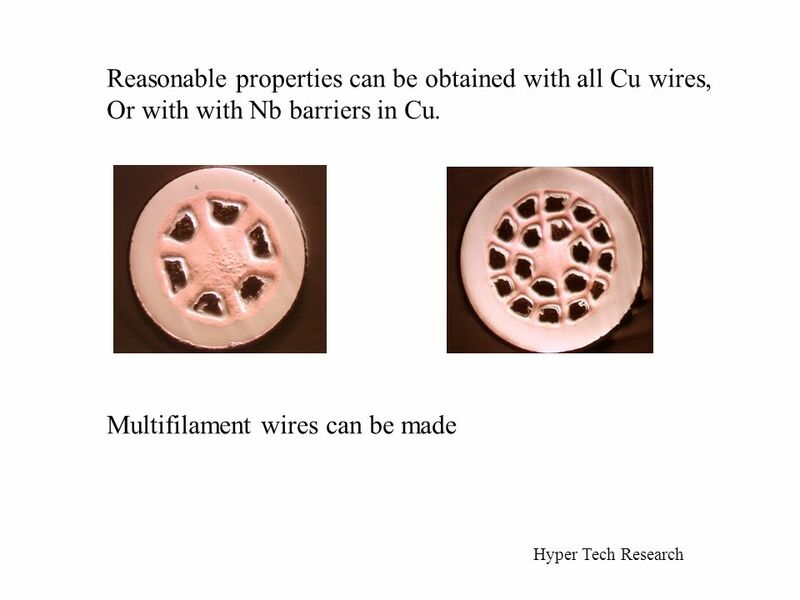 Applied Superconductivity Research - University of Cambridge B.A.Glowacki Bartek A. Glowacki Reader in Applied Superconductivity IRC in Superconductivity. 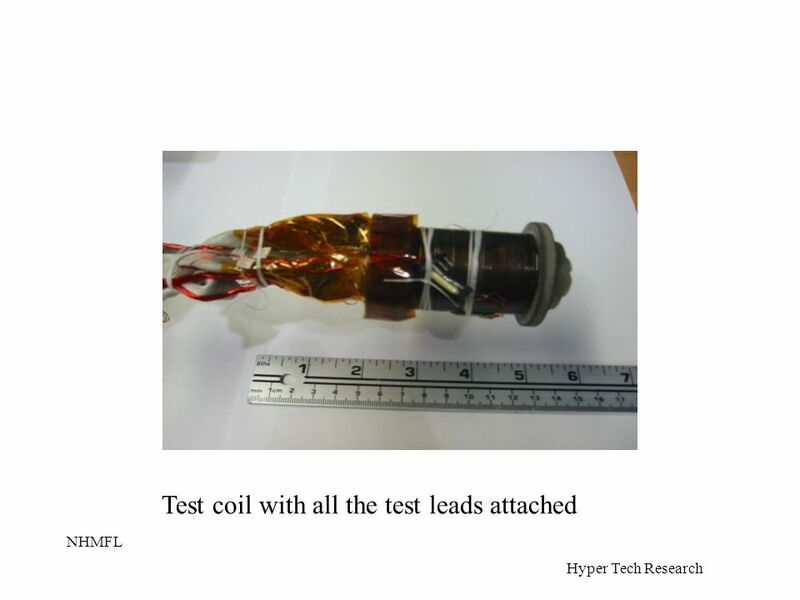 Superconductivity UK Dr. Philip Sargent, Diboride Conductors Ltd. Commercial superconductors, Cryogenics and Transformers. 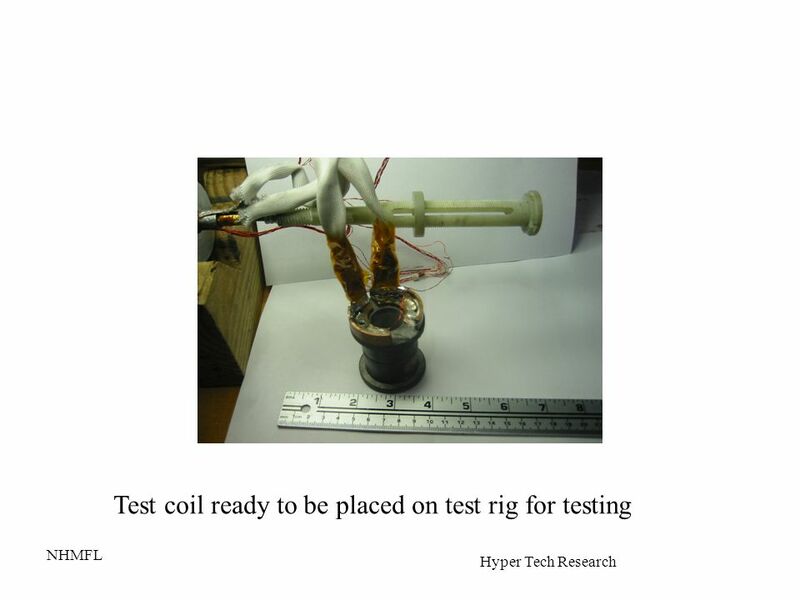 Superconductivity UK Dr. Philip Sargent, Diboride Conductors Ltd. 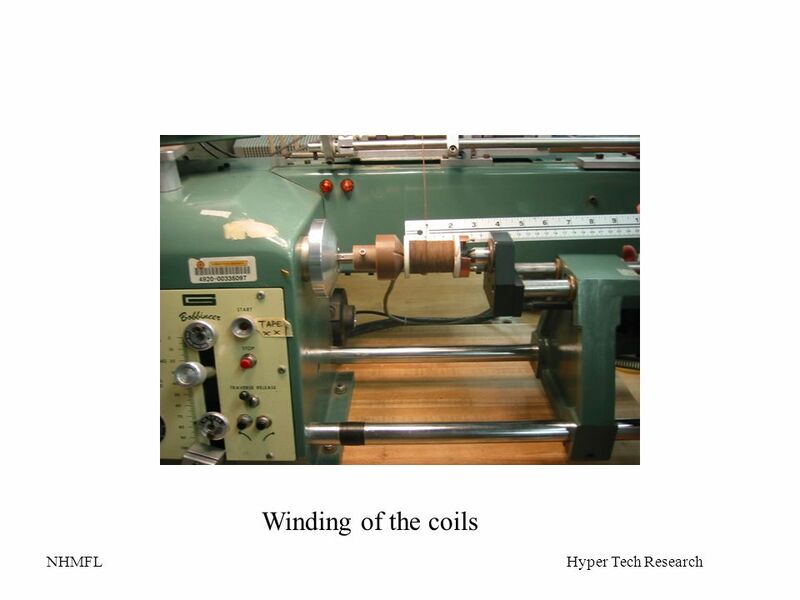 The coming revolution in electric drives Sponsored by: Dept. 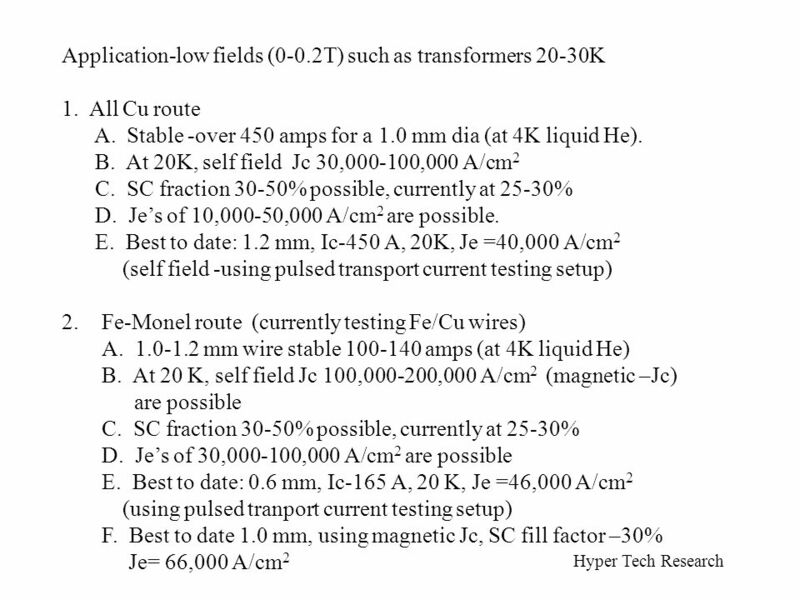 of Trade and Industry,University. 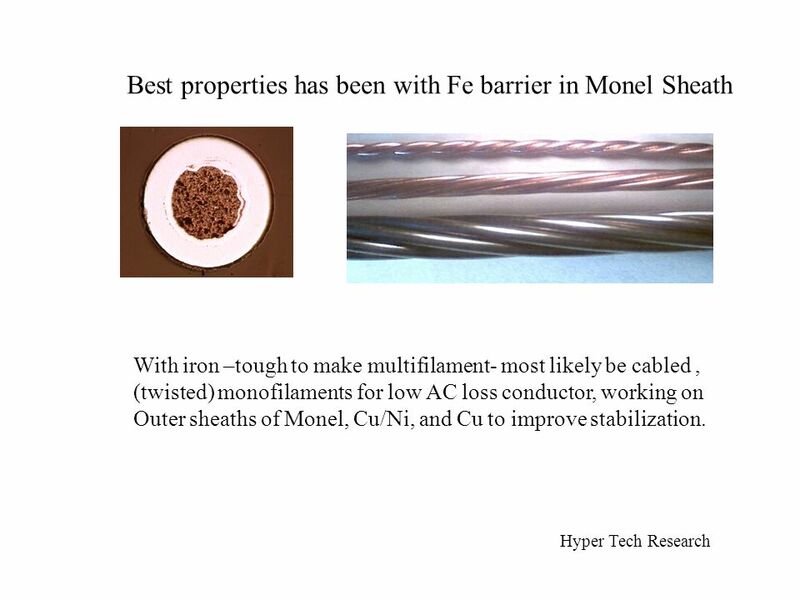 Superconductivity UK Dr. Philip Sargent, Diboride Conductors Ltd. Superconductivity and the electricity supply industries Sponsored by: Dept. 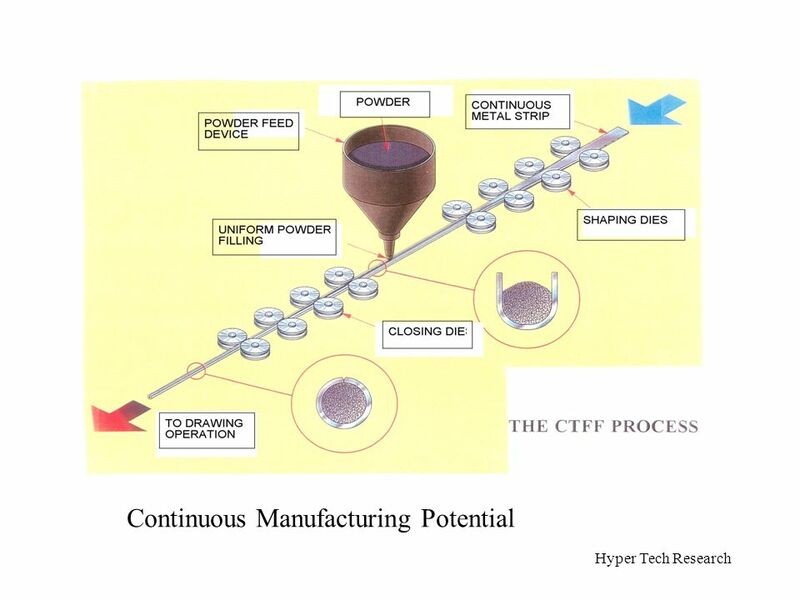 of Trade. 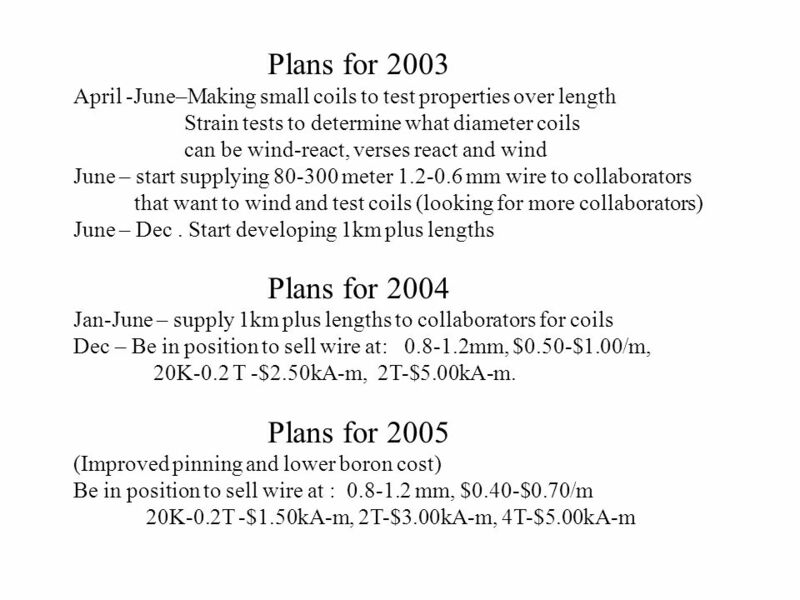 CM-18 June 20071 Magnet Conductor Parameters and How They affect Conductor Selection for MICE Magnets Michael Green Lawrence Berkeley Laboratory Berkeley.